Starting off this new series, Mike Stowe explores what it means to be Cloud-Native, talking here about the specific impact that certain cloud businesses have had their industries. 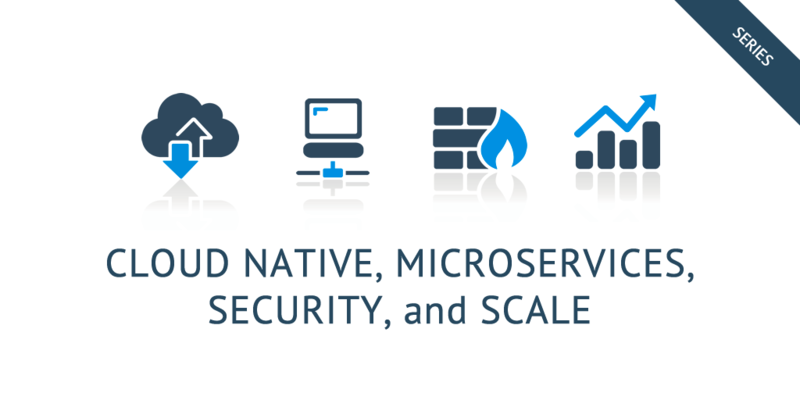 Welcome to part 2 (part 1 is just an intro) of the Cloud Native, Microservices, Security, & Scale Series. The year is 1997. Reed Hastings Jr. walks into Blockbuster carrying a copy of Apollo 13 – a movie he rented more than six weeks earlier, and is met with a hefty $40 late fee charge. A late fee charge that would later spell doom for the brick and mortar rental giant. A late fee that was the inspiration for a revolution of how we would rent movies—first by simply ordering them in the mail and keeping them as long as we’d like. Almost immediately profitable, Hastings would soon take (what would appear to be) a strategic misstep—and offer the struggling Blockbuster a chance to purchase the (still in-mail rental) company for the small cost of $50M. However, feeling that Netflix was too “niche,” Blockbuster CEO John Antioco chose instead to end negotiations. After all, what harm could a small mail-in service do? However, potentially an even larger blunder occurred just a year after that fateful Apollo 13 return. Larry Page and Sergey Brin had decided that they wanted to focus more on their studies at Stanford and offered to sell Yahoo their page ranking system for just $1M. However, Yahoo showed no interest, and Larry and Sergey focused on building out their algorithm and this company called Google—now worth near $500B, while Yahoo’s watched itself being sold off. This story is one that can be told and told again—not just of missed opportunities, but of new competitors stepping into the market. As technology has advanced and become increasingly cheaper—and as markets have moved online, it has never been easier for two college students in a garage to completely disrupt the industry. And any solutions must also be secure—as enterprises face numerous attacks, many sophisticated in an attempt to retrieve customer information or to blackmail. Take Target, for example, where a simple security breach with a third party vendor cost the Minnesota-based company $252M. Similarly, Sony who suffered one of the most malicious of attacks reported IT repairs alone costing the company close to $35M, not to mention the botched rollout of the movie The Interview, loss of personal and financial data, and much more.